There are lots and lots of questions I still have about Colony. I detailed some thoughts about the early part of the Collaboration, but I have lots more questions. Now, let me clarify. These are not “what’s going to happen next?” kinds of questions. I have a lot of those, too. But I’m talking about the mysteries, the puzzles, the things we want to know about the aliens and their plans, and also plans of the humans who have not made their plans clear. What were they making at the factory? Was this mostly a storage facility for the Outliers and a place to manufacture the green goo, or is there more to it? They apparently wanted to build factories on Earth once the one on the moon was destroyed, so the function is important to the RAPs, so it would be helpful to know what it’s all about. Speaking of the green goo, what does it do? Does it just supply oxygen to the body or does it strengthen the Outliers? What was that glowing structure Amy and Broussard saw on their trip north from LA to Seattle? Remember, there was some sort of strong magnetic field around it. Was that built by the RAPs or the new aliens? Is it a factory? I think the hexagons means it’s not RAPs but the new aliens. And if the new aliens have actually built structures right on Earth, that’s a bit of a game-changer. What are the new aliens called? What about the missing scientists and engineers? Will thought people were going missing in Seattle, and it wasn’t just trained soldiers — it was also scientists and engineers. And on the day of the Arrival, there were some important scientists and engineers who went missing, too. So what’s up with that? It doesn’t seem like they were Outliers, so what’s the story? What was the stuff in the briefcase? The courier that Broussard killed in season 3 was shown, earlier that day, receiving a briefcase from Kynes that he said “just came off the plane” and contained some different colored stuff that looked like some kind of medical samples or something. Kynes told the courier to drop it off at “Hendrix.” What is this stuff and what are they going to do with it at Hendrix. What and where is Hendrix, anyway? Is this the place where Broussard and the Outliers end up in the last episode, or is it somewhere else? What is the bulletproof material that Broussard and Amy acquired from the courier? What is it for? We assume it’s alien technology — but which aliens? Kynes tells the courier to take this “sample” to “prototyping.” And the courier, when he gets in the car, tells the driver to head to “Joplin.” We know Kynes is a fan of classic rock — are they making special alien musical instruments at Joplin? Assuming they’re really making either weapons or armor, one question I have is, would this material protect someone from whatever blast the Demi aliens seem to be able to use to immediately kill humans? When in the timeline did the field test scenes take place? Toward the end of season 3 there were 2 cold open scenes showing field tests with a couple of Outliers. It’s very unclear when in the timeline these scenes are supposed to have happened. Knowing this might give us a clue as to what Kynes is up to and how far along he got with his plans before Snyder upset the apple cart. Why do the RAPs think the Outliers will ever be effective against the Demis? It sure seems like these Demis are very powerful, if they can take out a whole well-guarded group in an underground bunker without even needing to carry a visible weapon. I still think we need to know a lot more about how they are supposed to be effective against the Demis, how they’re deployed, etc. And also — everything we’ve seen suggests the Outliers were intended to be a ground combat force, not fighting from spaceships. So why have we been told the battle will be in the skies above? What exactly did the RAPs promise the Collaborators? I talked about this in my post about how the Collaboration began, but i wanted to include it here because of Helena’s remark about how their sacrifices would be rewarded and it would be humanity’s greatest day. Really? How would that work, exactly? 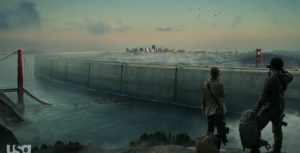 First, Earth is divided, lives are lost, walls surround the major cities, lots of buildings and structures are destroyed (remember the scene with the Golden Gate Bridge that Broussard and Amy observed). Then a war happens and, presumably, more lives are lost and more destruction occurs, maybe on an even greater scale than before. Then presumably the RAPs win, sacrificing many Outliers in the process, and both groups of aliens fly off to parts unknown (I’ve never been sure I believed that would happen). And then — think about Europe after World War II and the rebuilding that had to occur. Think about the South after the Civil War. Think about Iraq in our present day. There was some celebration that the war was over, but there was a lot of work and a lot of cemeteries. Not exactly my definition of the greatest day — so was this a lie? or have they promised something special to the Collaborators that will make life on Earth better than it was before? What’s the armory in Bellevue called? Broussard and O’Neill and the other Outliers went to an armory in Bellevue. Broussard said it’s also got labs inside. Is this place Hendrix or Joplin or something else? Morrison, maybe? What do the numbers on Kynes’ arm mean? 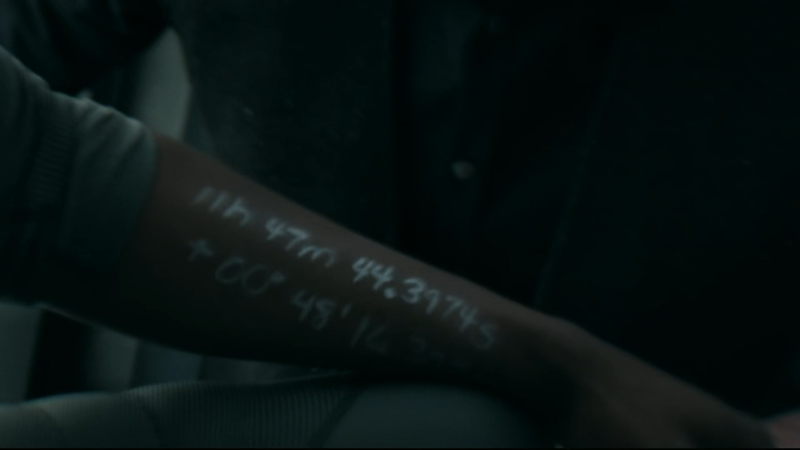 Numbers were written in silver Sharpie on Kynes’ arm after his encounter with the captive Demi alien? It’s been pointed out that this is the location of a planet that could support life. And this is all very interesting, but my first question about either of these alien races is not “where are they from?” but “Why are they here and what do they want with us?” I thought Kynes was asking the alien, “How do we defeat the RAPs?” I thought the numbers would be the formula to make the bulletproof material, or something equally valuable. I know, I said I wouldn’t ask “what happens next” questions, but this is a special one. I think they left it specifically vague, because they weren’t clear if they would be able to have Wayne Brady come back in season 4 and they wanted to leave it open. The way this season ends, if there ever is a season 4, it will be believable either way. Kynes could have died or he could have survived. But I feel like there are answers Kynes has that we need to know, and that’s why I put this question here. 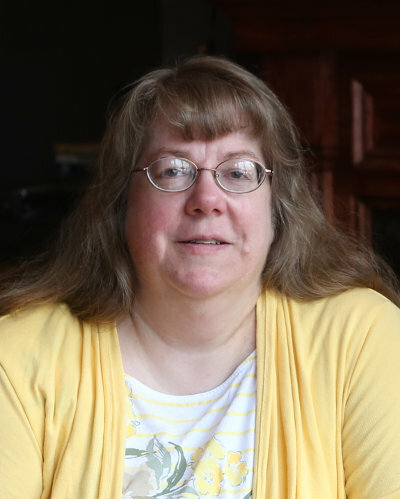 Was Snyder telling the truth about the 150 Outliers? Snyder made the call and no one picked up. Or they picked up and said they couldn’t make any promises. Or they even promised to protect Seattle, but didn’t ask for anything in return. Though I kind of thing that last one is less likely, because it does seem that Snyder was uncertain if the city was safe. Snyder made up the 150 Outliers because he wanted to get a bunch of potential rebels off the street, knowing after the battle, he’s going to be fighting the remaining free Outliers. The shield was already in place so Seattle would have been safe regardless of what the humans did. Did the show creators make a mistake? One of the tweets I saw after the cancellation was announced was from one of the show’s creators, mentioning mistakes they might have made. And I know some fans are discussing plot points they found not so believable, but I want to talk about a different concept and whether it’s a mistake, in today’s technological society. The creators of Colony expect a lot of their viewers. This was also mentioned, earlier in the season, in a tweet or podcast or something, right about the time of the 2nd time jump, when people were asking lots of “how did they get here?” questions. The creators wanted us, the viewers, to fill in some of the blanks, and they did this before, at the beginning of the show, when instead of starting with the Arrival, they started almost a year later and showed us what life was like and we had to figure out how it all got that way. So my question is, are we worthy of this type of show? Obviously, if you’re reading this, you are worthy. Our relatively small band of really loyal Colony super-fans are worthy; we like puzzling it out. We don’t mind watching it again to catch what we missed. Some of us even take notes. But are there enough viewers out there for this type of show to be a profitable venture? AMC seems to believe so, having renewed Better Call Saul for a 5th season before the 4th one even started. This show is a long, slow burn as we watch Jimmy McGill become Walter White’s slimey lawyer in Breaking Bad. Viewers seem to have the patience for that, and there aren’t even any aliens! I certainly hope there are networks out there that value intelligent viewers, that don’t assume that a show has to be something that only appeals to those wanting mindless entertainment. Did I leave out any questions? Do you think you know any answers? Let me know in the comments below. another question that I find interesting is, how did “our wise Hosts” know, when the attack of their enemies, the Demis, would be? Because their calculation was relatively exact. If you think in lightyears or parsecs, a deviation of some months is close to nothing. And this leads to another puzzling question: How did the Hosts enemies know, WHERE they would find them? Did the Hosts search for a solar system with intelligent beings like us, start with their preparations (enslave the population, teach them what they need for their work, start to manufacture ships, walls, weapons, defense grid, etc.) and, when preparations are on a good way, then actively CALL their enemy? An appointment for battle, so to say? And – maybe – they had to wait for a very (!) long time on the dark side of the moon until mankind started the Apollo program! Well, how’s this for a scenario: First, the thing on the dark side of the moon — the one scientist thought it was a beacon. Maybe the RAPs had a fly-thru ship (it could maybe even have been unmanned) that dropped these beacons in various solar systems and then they waited for a response. Because we know there was a response involved. Second, I’m envisioning the war between the RAPs and the Demi’s to be a long-term thing. Maybe they’ve been chasing each other throughout the galaxy, playing cat and mouse, for centuries. Maybe the RAPs originally had flesh-and-blood bodies and they were all destroyed by the Demi’s and they managed to survive by uploading their consciousnesses into those glowing orb things that we saw being transplanted into a new body last season. I, personally, want to know more about what each race of aliens are planning, what their agenda is with regard to the other race and Earth. I want answers to that more than I want answers to where they came from, but I suspect the numbers written on Kynes’ arm are likely to be the best clue we have to the answer to your questions. I liked the show. I wish it had stayed in Los Angeles, though. I agree this season had a very different feel and some were disappointed with pacing and character reversals. But I don’t think these were because they left LA. I know I was excited to see how the wider world was affected by the occupation. I think a 3rd season in LA would have been kind of boring.